TRANSFER: Comes to USI from St. Catharine College (St. Catharine, Kentucky)...batted .337 with 22 RBIs, 12 runs scored, and eight doubles as a sophomore...batted .356 as a freshman with three home runs, three doubles, and 14 RBIs. HIGH SCHOOL: Lettered in baseball at Perry Meridian High School (Indianapolis, Indiana)...was named All-Conference Indiana twice (2004 and 2005) and was a member of the Indiana North-South All-Stars in 2005. PERSONAL: Born October 20, 1986...son of Bill and Susan Rowley, both of whom are cancer survivors. 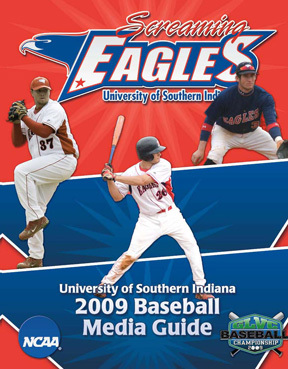 Copyright © 2019 University of Southern Indiana All rights reserved.